The application period for the Quaker United Nations Summer School is now CLOSED. The deadline for applications was 15 January 2019. 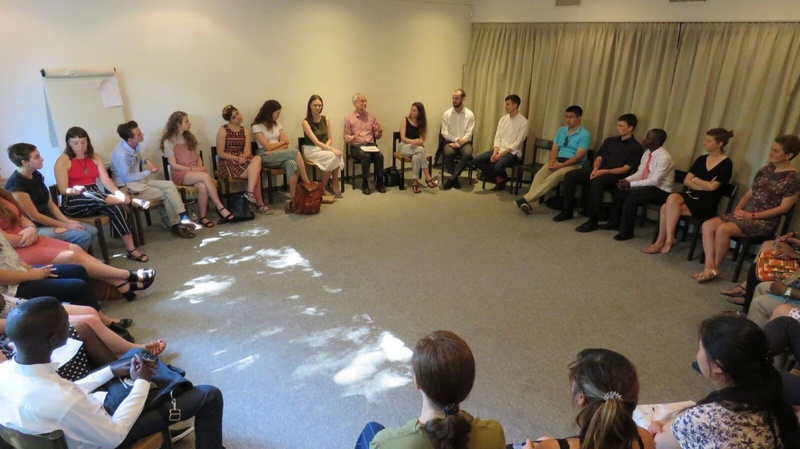 Applications for the 2020 Quaker United Nations Summer School will open in autumn 2019. 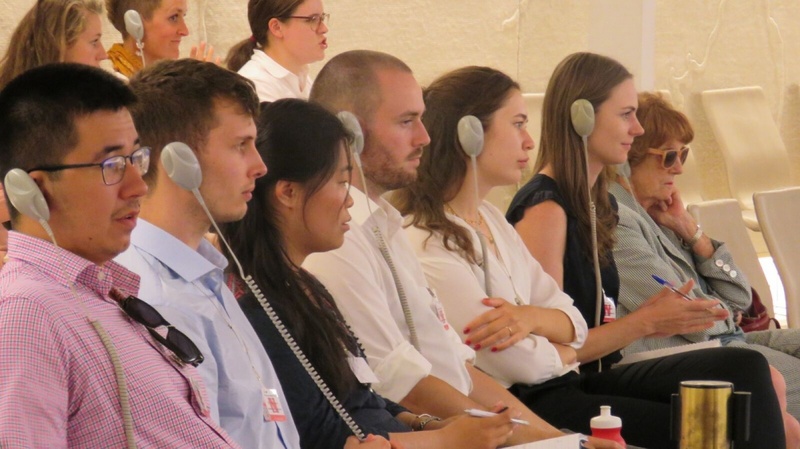 The Quaker United Nations Summer School provides the opportunity for a group of 25 young people to come together to learn more about Quaker work at the international level, and to witness the United Nations in action, as part of a dynamic 12-day residential programme. 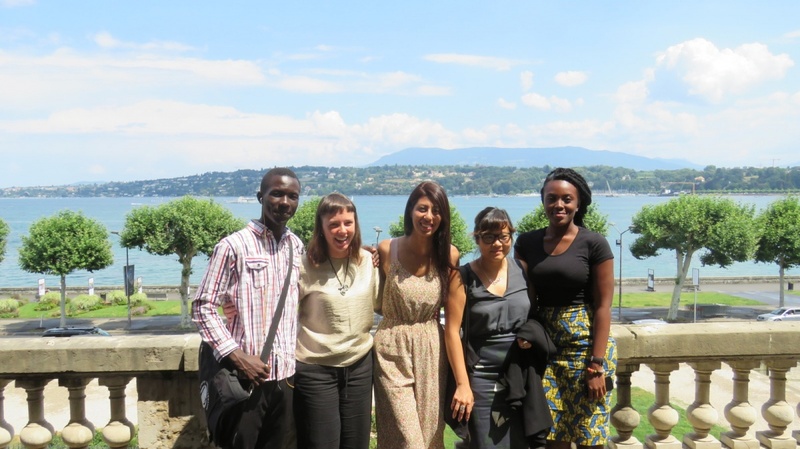 The programme is grounded in QUNO Geneva’s work, with a focus on Peace, Disarmament, Human Rights, Migration, and Climate Change. Participants will be able to observe sessions within the United Nations, meet and hear from Civil Society leaders, and engage in facilitated dialogue with like-minded peers about the issues that are most pertinent for our global community today. We welcome applicants of all nationalities, faiths and identities, and seek to be inclusive for all. The age range for participation is between 20 and 26, though there is some leniency for this for the right applicant. No formal qualifications are necessary to apply, but a keen interest in the United Nations is required, as well as the ability to work collaboratively with others. The programme is residential and applicants need to be comfortable with both an intensive daytime schedule, and sharing their living space and downtime with others. English is the working language of the programme and fluency is therefore essential for all participants. If you have concerns about accessibility of any kind, please contact us at qunss@quno.ch. Participants are hosted in shared dormitories at a hostel in Geneva. The programme runs Monday – Friday, and there are optional evening activities and a weekend excursion. Days are spent at Quaker House and on visits to UN institutions. Applicants from outside the EU/Switzerland may require a Schengen visa. QUNO is available to assist with visa applications, although unfortunately we are not able to guarantee success. The fee for participating in the Quaker United Nations Summer School is 775 GBP. This covers accommodation, programme costs, activities and meals. It does not cover travel costs or spending money. There are limited bursaries available for those who need them. More information can be found on the application form. The Quaker United Nations Summer School 2019 will take place from 7-19 July 2019. The application period is now CLOSED.